Stacked decanter and glasses. 24% lead crystal. Includes 8-oz. decanter and two 8-oz. glasses. Approximately 3.5"Dia. 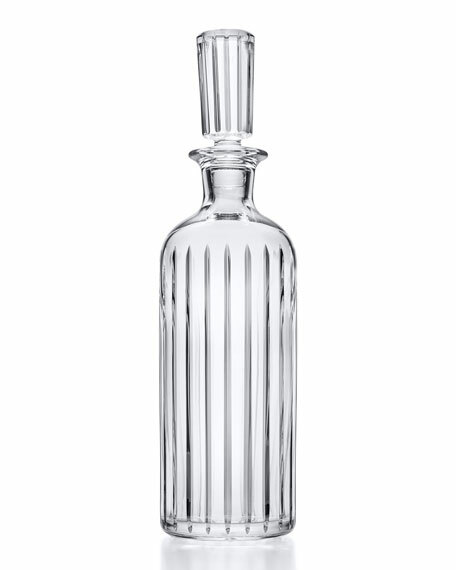 x 12.75"T. Hand wash.
Stacked decanter and glasses. 24% lead crystal. Includes 8-oz. decanter and two 8-oz. glasses. Approximately 3.5"Dia. x 12.75"T. Hand wash. Imported. Decanter made of 24% lead crystal. Hand wash. Approximately 5"W x 2.75"D x 9.5"T; holds 26 ounces. Imported. 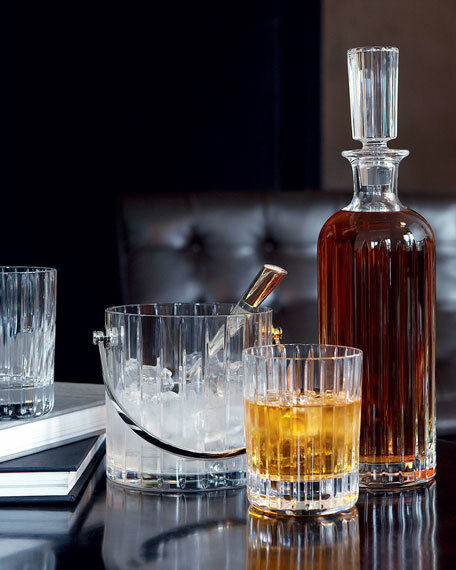 Handcrafted whiskey set includes one decanter and two double old-fashioned glasses. Glass with hand-painted stripes. Elegant and rigorously functional. Decanter: 5"Dia. x 9"T; holds 35.2 ounces. Glasses: 3.3"Dia. x 3.1"T; holds 10.5 ounces. Hand wash. Imported.